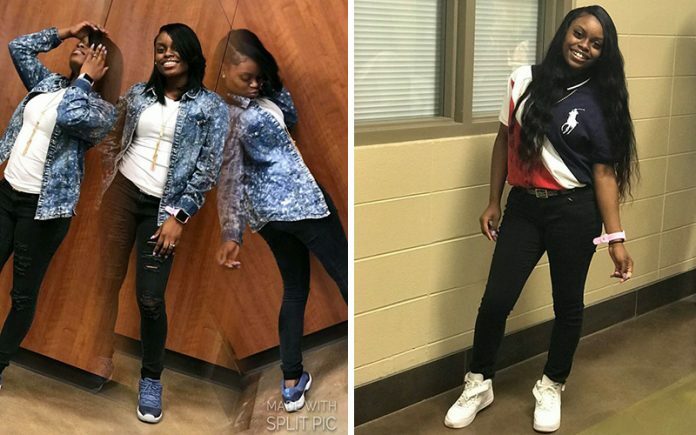 A 17-year-old girl named Courtlin Arrington was shot and killed at Huffman High School in Birmingham, Alabama on Wednesday (Mar. 7). Michael Jerome Barber, another 17-year-old student at the school, was allegedly responsible for the shooting and was arrested on several charges. The shooting comes less than a month after the tragic events that took place at Marjory Stoneman Douglas High School in Parkland, FL, where 17 students were shot to death by another student. 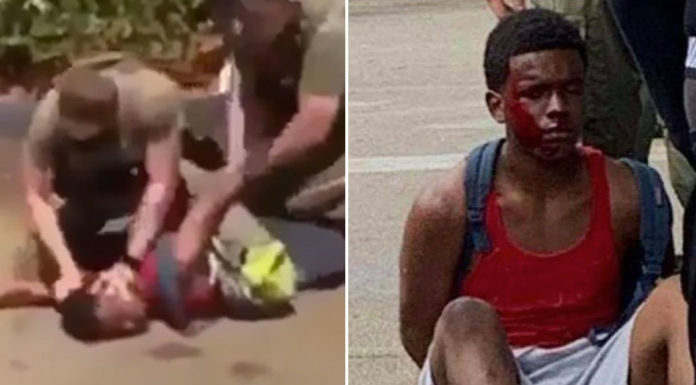 Here are some things to know about Courtlin Arrington, Michael Barber, and the shooting at Huffman High School. 1The shooting happened as school was being dismissed. Around 3:45 p.m. as school was letting out, Courtlin was struck by a bullet that pierced her heart and exited through her back. 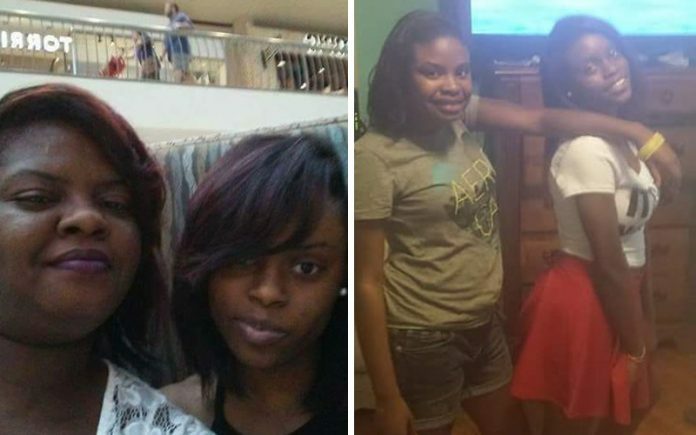 Rescue workers tried to revive Courtlin at the scene of the shooting and on the way to the hospital, but she was pronounced dead 31 minutes later at UAB Hospital, AL reports. 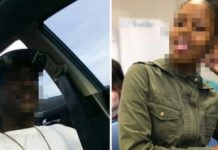 Courtlin’s mother Tynesha Tatum found out about the shooting through a phone call from one of Courtlin’s friends, but at first, she didn’t believe it. She said it wasn’t until her 16-year-old son, Gera’Micah Tatum, who also attends Huffman High School, called her and confirmed the news. Tatum went to the school, only to find out her daughter had been taken to the hospital for her injuries. By the time she arrived at the hospital, Courtlin had passed. “The last time I saw her I had to identify was it her. 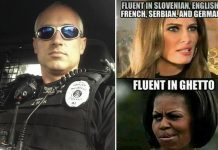 I couldn’t say anything. I couldn’t touch her. I couldn’t do none of that,” Tatum said. Courtlin’s 19-year-old sister, Tamera Tatum, who also attends Huffman, had just got on the school bus to go home when the shooting occurred. 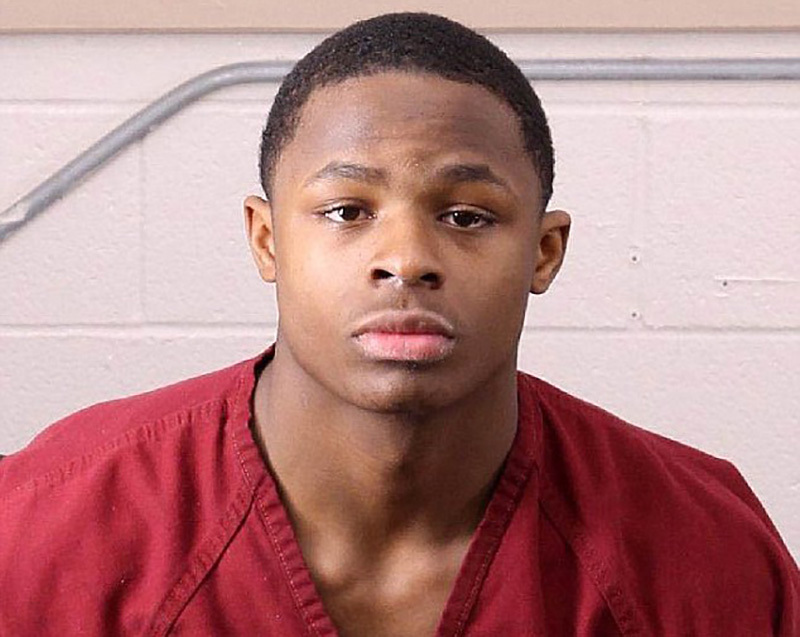 2Michael Jerome Barber, a teen from Huffman High School, is being charged with Courtlin Arrington’s death. 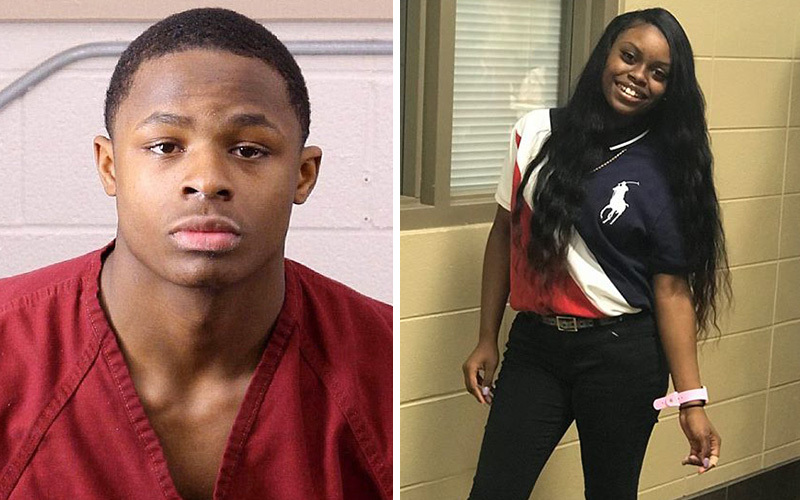 17-year-old Michael Jerome Barber has been named as the shooter in connection with Courtlin’s death. He was arrested and transferred to Jefferson County Jail, and is facing manslaughter and certain persons forbidden to possess pistol charges. His bond was set at $75,000 for both charges. Barber was a junior and a wide receiver on the school’s football team. He often posted recruiting videos online. 3Metal detectors were not in use the day of the shooting, and Barber’s gun accidentally went off while he was showing it off to friends. In addition to fatally shooting Courtlin Arrington, Barber suffered a self-inflicted gunshot wound to the leg during the shooting. He was taken to a hospital where he was treated for his injuries and released. Barber’s friends told authorities that he brought the gun to school because he was robbed on campus the day before. Sources say Barber was showing off his gun to classmates when it “accidentally discharged” and fatally struck Arrington. 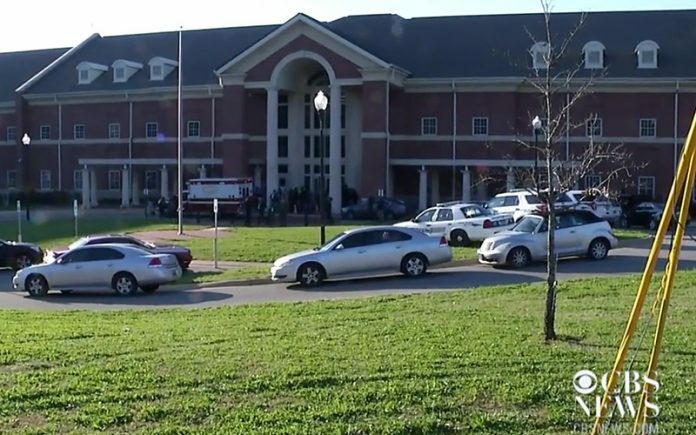 A school employee also suffered minor injuries from the shooting. On the day of the tragic incident, the school’s metal detectors were not in use. Superintendent Lisa Herring said the school district was revisiting safety procedures “with an extreme amount of urgency” following the shooting. Police have described the shooting as being accidental, but haven’t released any further details. 4Courtlin Arrington was described as a bright student who had a promising future and wanted to be a nurse. Arrington was a high school senior and an aspiring nurse. She had recently been accepted into Concordia College. 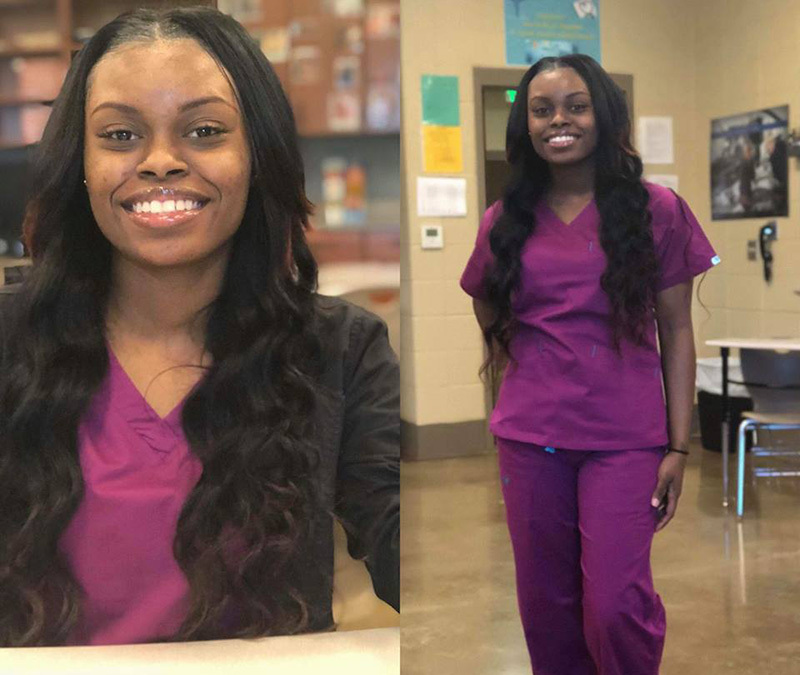 “Our hearts go out to the family of Ms. Arrington, all of her friends and those whose lives would have been changed through her nursing dreams had this event not occurred,” the district attorney’s office said in a statement Friday. “This is a parent’s worst nightmare. Courtlin’s mother Tynesha Tatum told local news reporters her daughter was determined to achieve her dreams. “Whatever she put her mind to, that’s what she was going to do,” Tatum said. Courtlin was also said to have been excited about prom and had already picked out her cap and gown for graduation. “Her father had just ordered her prom dress online and she didn’t even know it yet,” her grandfather Zach Arrington told news. 5Courtlin’s mother says Courtlin was crazy about fashion and was known for putting others before herself. Tynesha Tatum said her daughter was very fashion-forward and always kept her appearance up. “Her hair had to be on point. Her nails had to be on point. Her purse had to match. She was a loving, crazy person,” Ms. Tatum said. Ms. Tatum also spoke about how big of a heart Courtlin had and how she would take care of those who were sick around her. Tatum said she’s going to miss Courtlin calling her and asking her to buy her favorite snacks: fruit, Beef n Cheddar sandwiches from Arby’s, and funnel cakes from Rally’s. “We were two peas in a pod. You see me, you see her. I got up in the morning and jumped in her bed and kissed on her face,” Tatum said. 6Michael Barber’s sister defended his involvement in the shooting on social media. 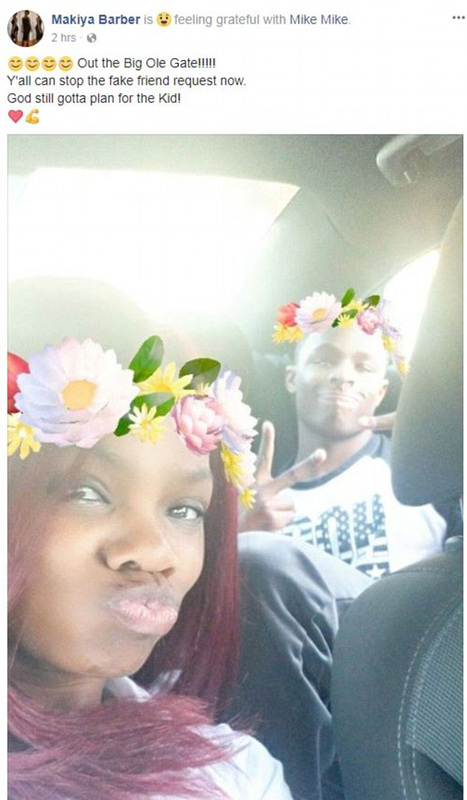 Makiya Barber posted a selfie of herself and her brother after he was released on bail Friday (Mar. 9). “Out the big ole gate! Y’all can stop the fake friend request(s) now. God still gotta plan for the kid!” Makiya wrote in a caption of the photo, which has since been made private. She also wrote a statement in response to those who had negative things to say about her brother Michael. 7Courtlin Arrington’s funeral is set for March 24th, the same weekend as what would have been her senior prom. Courtlin Arrington’s funeral will be held at noon on March 24th at Boutwell Auditorium. It will occur on the same weekend as what would have been her senior prom. 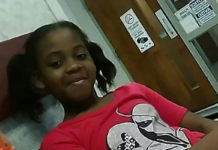 Courtlin’s family says that they hope her death will bring change in school safety measures and she won’t die in vain.